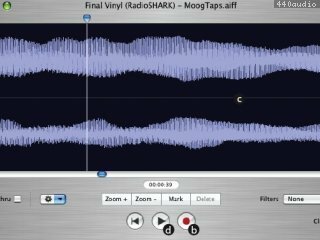 Final Vinyl is an application designed for the Griffin Family of audio input devices. It features a digital audio component interface and is intended to complement iTunes or Quicktime Player. It records audio to disk, enables editing, equalization, access to AudioUnits and noise removal. 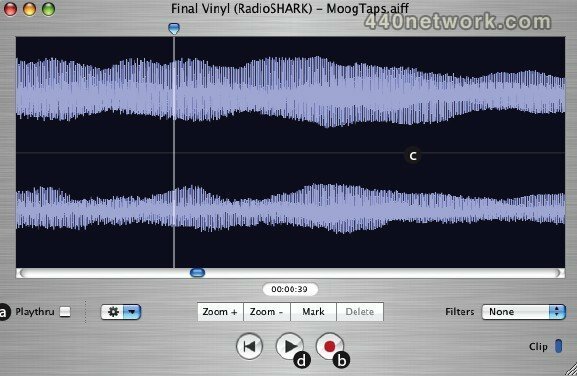 Has several advanced features including equalization and built in RIAA curves. For Macs running 10.4 and 10.5. Fixed a problem that prevented the effects list from working properly under Mac OS X 10.4. Fixed a problem where interrupting Save could cause Final Vinyl to crash. Fixed a problem where closing the window while the waveform was being rebuilt could cause Final Vinyl to crash.